FURNSTYL strives to bring to you the newest styles and trends that create a sense of opulent grandeur, underpinned by a combination of inspired freshness and stylish sophistication that hasn’t been seen before. To create a luxurious living experience, we offer a wide array of modern, well-designed, functional home furnishing products and artefacts. We're more than just a furniture retailer: we hand-pick and curate the best in quality and style for you and your home. We are proud to bring to you a better way to shop for your home. We promise that you will be satisfied with not only our products but the entire shopping experience. So you will enjoy your home more fully through design and luxury, and shop with confidence from your own home. Impressions count and with FURNSTYL you will always leave a lasting impression of comfort, style and sophistication. In the business since 2006, Design Arc Interiors has been decorating interiors in Bangalore and Dubai. Design Arc collaborates with Cambridge Electro Mechanical (Abu Dhabi, UAE) for all interior projects in Dubai. They cater to the needs of both work and living spaces. The Design Arc Interior team is versatile enough to create both luxurious residential designs as well as cosy homes. 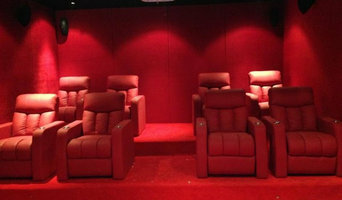 Right from conceptualizing the project to execution and delivery, everything is customised to suit the client’s needs. Home Interiors services include:bathroom interiors, kitchen interiors, bedroom interiors, dining room interiors,kids room interiorsgym interiors residential outdoor and indoor interiors. 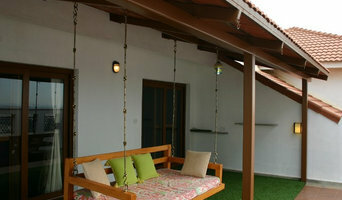 Residential designs include and be customised for villas, bungalows and apartments. Design Arc Interior’s commercial interior services enhance the client’s brand image and value. They offer retail space design, office interiors design as well as projects for community centres, museums, libraries, and so on. Retail spaces designed include shopping mall interiors, departmental stores, exclusive showrooms as well as merchandising spaces focussing on a specific brand. The office interior designs are done in such a way so as to match the work culture and the corporate philosophy of the business. All spaces also include modern access control systems, surveillance systems and hybrid wiring. Apart from executing, Design Arc Interiors also provides consulting services and 3D visualization services. This service is available for residential, commercial or hospitality landscaping. The highly skilled Design team provides computer generated visualizations. 3D modelling is generated integrating the landscape with the environment. This gives clients the advantage of foreseeing their projects and designs and modifying the same, if necessary. Interior designers, real estate agents, architects, landscape architects, developers and marketing companies can make use of this. Whether it be specialized modern interior design or contemporary, Design Arc Interiors helps turn dreams into reality. Indian-based photographer specializing in residential & commercial properties for interior designers, architects, and publications. Inspiring Spaces provides clients with a total service from analysis and strategy, to design and implementation which we call 360 degree design as it covers the full circle of services that are needed to create a total design solution. 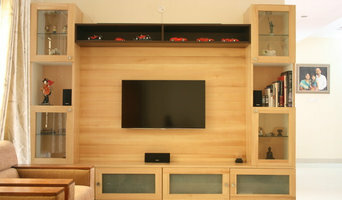 Innover Interior Designs is based out of Bangalore. Designing homes with elegance, comfort and purpose is what IIDs takes pride in. We always work hard to design Elegant and luxurious interiors keeping inline with the vision and budget of the client . Reflecting client's Vision into the design and giving a satisfactory end product is the Motto we stand for! Inscription interiors is a cutting edge design interior firm involved in elite residential and commercial projects. Our team of specialists induce their expertise in material knowledge to design furniture, flooring, modular kitchen, false ceiling, entertainment units, lighting and fixtures, painting, wallpapers and sculptures. We also offer services related to plumbing, electrical works and landscaping as part of design execution. Since 2003 i am into manufacturing of various kind of Solid Wooden Furniture, Decorative, Handicrafts at Jodhpur City in India. My company Name . Vinayak Art Inc. Have vast experience in making of ethnic carving crafts, architectural items, colonial furniture in solid wood, small home decor. Right more in to making of Vintage Retro Industrial furniture and Recycle wood Furniture. I have well established infrastructure to supply container load of furniture and handicrafts of India. Ample experience and know how on production give advantage on pricing as well quality and continuous innovative product development as in accordance with International fashion and trends in Home Decor. I am Export Manager of Vinayak Art Inc. Jodhpur. Rajasthan. India. .Looking for the best interior designer or interior decoration company in kolkata/ Jharkhand ? you are in right place. 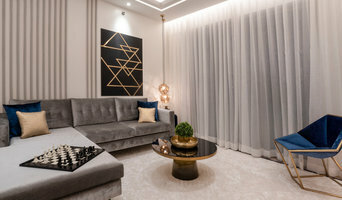 We are really happy to hear from all our reputed clients that, they made right decision choosing Ashiana interior design Kolkata Ashiana Interior design is specialized in providing stunning and exceptional interior design & Decoration services that include creative space planning, 3D rendering, detailed drawings, material selection, project estimations, and project supervision for both residential and commercial projects in the metropolitan .We provide complete interior design solution for all kinds of interiors spaces. Interior Design is best way for adding value to your home and get the best results when you want to sell it. Interior Design and Home Renovation will make your lifestyle change that your family members needs and also improve interaction and well being with your family members. We will improve your house, office, & other areas like bedroom, living, Dining, bathroom, kitchen, lighting, ceiling, flooring, wall design, etc... Which in turns improve value of your property and lifestyle. For us no work is big or small. Our Designer undertakes residential and commercial work, both in large and small scale. Our highly experienced designers will help you to create the look which you have in your mind. They will visit your site to get an idea what you want to achieve or what you have in your mind. Then we will provide a full assessment of scale of project and budget and will advise a calculated and honest way to handle it. We can be working on plans, where we help with space usage, ergonomic office style, as well as successfully accomplishing a well healthy idea, right through to information, such as cabinets style, electric, shade, customised furniture and wall structuring. Whether it’s all or just one service please feel free to make an enquire. A multi-award winning design company, we offer expert advice for apartment interiors, including: Kitchen design, Bathroom and Laundry design, Wardrobe design, Selections of fixtures fittings and finishes, plus itemised quotations which include supervision of work. Our Projects range from contemporary to classical Interior design solutions but are always personalised and complement the property and the people within. With our extensive design sample library and resources, we can create a room to complement every desire, lifestyle, and budget. KariGhars is a combination of two Hindi words – “Karigars” which means “Expert Craftsmen” who are skilled in making finished products out of raw materials, and “Ghars” meaning “Homes”. With this name, we want to showcase to people that we are a team of skilled craftsmen who can decorate, design, furnish their dream homes and turn them into reality. At KariGhars, we are very passionate about giving customers more than they would expect from an Interior Designing company. We give great importance to customer experience and customer satisfaction and make sure that we are unmatched in this regard in the business. We believe that making a home is one of the most important phases in a person’s life and we work to fill that phase with contentment & satisfaction. We design and install tailor made modular kitchens. I am an Architect and an Interior Designer with 9 years of experience and an Artist and Crafter by hobby. I love designing spaces which are functional, aesthetical and radiate a sense of positivity to the eye and soul. Exploring my client's personality and taste enables me to design a space which represents their persona. For me " Residential Interiors matters the most - setting a beautiful and harmonic backdrop for our daily lives." Established in 1972 KAF is one of the most diverse and successful Architectural and design practices in India. The firm’s design scope is eclectic and ranges from houses to large townships and malls, as well as to new age spaces for companies catering to technology,healthcare and hospitality. KAF does not confuse between transient style, and ethereal design, thus, it tailors a custom design for the purpose of the project which is blended to incorporate the site and the requirements. KAF due to its far-sighted ability, pioneered a significant innovation, a first in India, through the practice of solar passive architecture. We are specialised in Interior Designing and decorations.